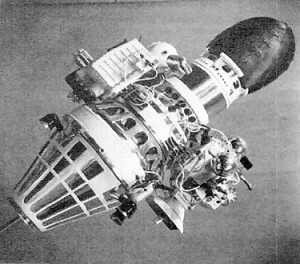 January 4: Launch failure of the Soviet Luna 1963A (E-6 #2) due to failure of insertion burn. This was an attempted lunar soft landing. Also called Sputnik 25. 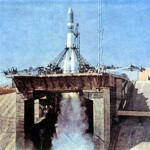 February 3: Launch failure of the Soviet Luna 1963B (E-6 #3) due to gyroscope failure. This was an attempted lunar soft landing. orbital mechanics and flight dynamics. Flight crew personnel had been receiving basic science training for two days a week over the past four months. 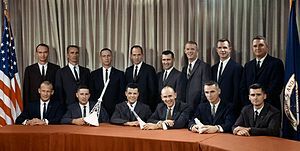 During this period, they also received Gemini spacecraft and launch vehicle familiarization courses and visited several contractor facilities, including McDonnell, Martin, Aerojet, and Lockheed. 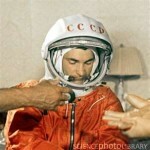 Among subjects studied were astronomy, physics of the upper atmosphere and space, global meteorology, selenology, guidance and navigation, computers, fluid mechanics, rocket propulsion systems, aerodynamics, communications, environmental control systems, and medical aspects of space flight. Flight-crew training plans for the rest of the year, which were being formulated during February, called for space science and technology seminars, celestial recognition training, monitoring the Mercury-Atlas 9 flight, weightless flying, pressure suit indoctrination, parachute jumping, survival training, instruction in spacecraft systems and launch support, paraglider flying, centrifuge experience, docking practice, and work with the flight simulator. 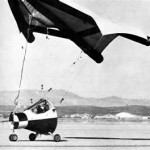 March 7: A series of problems in the Gemini Paraglider Development Program culminated in the loss of a second half-scale test vehicle in a deployment flight test. 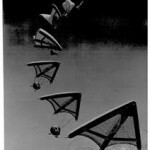 As early as October 19, 1962, budget pressure had prompted some consideration of dropping the paraglider from the Gemini program. 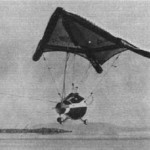 The Paraglider was downgraded to a research and development program. March 28: NASA launched Saturn SA-4 from Cape Canaveral LC34. The S-I Saturn stage reached an altitude of 129 kilometers (80 statute miles) and a peak velocity of 5,906 kilometers (3,660 miles) per hour. This was the last of four successful tests for the first stage of the Saturn I vehicle. After 100 seconds of flight, the No. 5 engine of the booster’s eight engines was cut off by a preset timer. That engine’s propellants were rerouted to the remaining seven, which continued to burn. This experiment confirmed the “engine-out”capability that MSFC engineers had designed into the Saturn I.
April 5: Launch of Luna 4. This was a failed (due to a failure of the mid course correction burn) lunar soft landing attempt resulting in a flyby of the Moon with a closest approach of 5,180 miles. April 29-May 1: Space Medicine Branch meeting in Los Angeles, California. 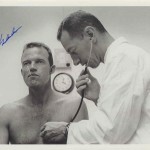 A. H. Schwichtenbert, M.D. was elected President. Due to the retirement of Dr. Hubertus Strughold that year, the “Hubertus Strughold Award” was initiated. The first recipient was Capt. Ashton Graybiel, M.D. The Space Medicine Branch gavel was crafted by Dr. Howard A. Dishongh and presented to the outgoing President of the Space Medicine Branch, Capt. Frank B. Voris. May 6: Astronauts M. Scott Carpenter, Walter M. Schirra, Jr., Neil A. Armstrong, James A. McDivitt, Elliot M. See, Jr., Edward H. White II, Charles Conrad, Jr., and John W. Young participated in a study in LTV’s Manned Space Flight Simulator at Dallas, Tex. Under an MSC contract, LTV was studying the astronauts’ ability to control the LEM manually and to rendezvous with the CM if the primary guidance system failed during descent. May 9: The nine new flight crew members completed a zero-gravity indoctrination program at Wright-Patterson Research Laboratory. A modified KC-135 aircraft carried the astronauts on two flights each. A flight included 20 zero-gravity parabolas, each lasting 30 seconds. May 15: Faith 7, piloted by Astronaut L. Gordon Cooper, Jr., was launched from Cape Canaveral. 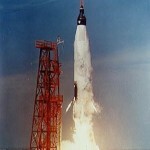 An Atlas rocket boosted the Mercury spacecraft into a 161.3 by 267 kilometer (100.2 by 165.9 statute mile) orbit. After 22 orbits, Cooper manually fired the retrorockets and the spacecraft reentered the atmosphere, landing safely in the Pacific Ocean 34 hours, 19 minutes, and 49 seconds after liftoff. Astronaut Cooper was reported in good condition. Cooper’s one-day flight turned out to be the final Mercury flight. June 5: NASA announced that it would select 10 to 15 new astronauts to begin training in October. Civilian applications were due July 1; those from military personnel, prescreened by their services, were due July 15. New selection criteria reduced the maximum age to 35 years and eliminated the requirement for test pilot certifications. 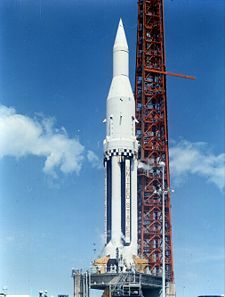 June 12: The Mercury-Atlas 10 mission (scheduled to be flown by Alan Shepard) was canceled, thus ending the Mercury Program. 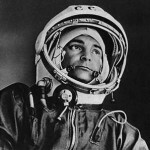 June 14: The Soviet Union launched Vostok V, piloted by Lt. Col. Valery F. Bykovsky. 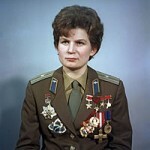 Two days later Lt. Valentina V. Tereshkova, the first spacewoman, followed in Vostok VI. Purposes of the dual mission were to study the medical-biological effects of prolonged space flight upon humans and to perfect spacecraft systems. 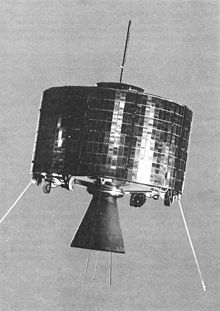 On its first orbit, Vostok VI came within about three miles of Vostok V, apparently the closest distance achieved during the flight, and established radio contact. 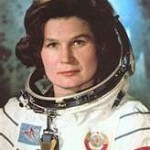 Both cosmonauts landed safely on June 19. The space spectacular featured television coverage of Bykovsky that was viewed in the West as well as in Russia. 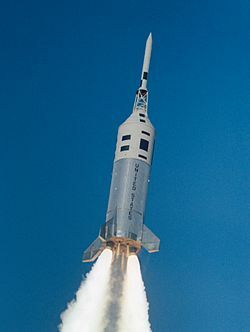 July 9: Gemini Project Office (GPO) completed a test program on the centrifuge at Ames Research Center to evaluate the effects on pilot performance of longitudinal oscillations (POGO) of the Gemini launch vehicle. When subjected to oscillatory g-loads ranging from 0 to + 3g superimposed on a steady-state load of 3.5g, pilot perception and performance decreased markedly above +0.25g. Primary effects were impaired pilot vision, reduced eye scan rate, masked sensory perception and kinesthetic cues, and degraded speech. GPO reconfirmed the need to reduce POGO to a maximum of 0.25g. July 15: NASA received 271 applications for the astronaut program. Seventy-one were military pilots (one from the Army, 34 from the Navy, 26 from the Air Force, and 10 from the Marines). Of the 200 civilians applying, three were women. July 26: Launch from Cape Canaveral LC17A of Syncom 2 on a Thor Delta B into an orbital altitude of 26,200 miles. This was the first geosynchronous satellite (first described by Herman Potocnik Noordung in 1929). August 5: The new NASA Gemini astronaut crew members and two of the Mercury astronauts began a five day desert survival course at Stead Air Force Base, Nevada. The course, oriented toward Gemini missions, was divided into three phases: (1) one and one-half days of academic presentations on characteristics of world desert areas and survival techniques; (2) one day of field demonstrations on use and care of survival equipment and use of the parachute in construction of clothing, shelters, and signals ; and (3) two days of remote site training, when two-man teams were left alone in the desert to apply what they had learned from the academic and demonstration phases of the program. 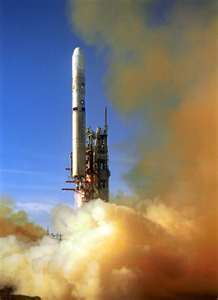 August 28: Launch of Little Joe II from White Sands Missile Range. feet) the pilot would be ejected from the spacecraft and would descend by personnel parachute. A towed 24-foot diameter parasail carried the astronauts to altitudes as high as 400 feet before the towline was released and the astronaut glided to a landing. September 12: NASA announced that, in the future, unmanned lunar landing spacecraft (e.g., Rangers and Surveyors) will be assembled in “clean rooms” and treated with germ-killing substances to reduce the number of microbes on exposed surfaces. These sterilization procedures, less stringent than earlier methods, were intended to prevent contamination of the lunar surface and, at the same time, avoid damage to sensitive electronic components. 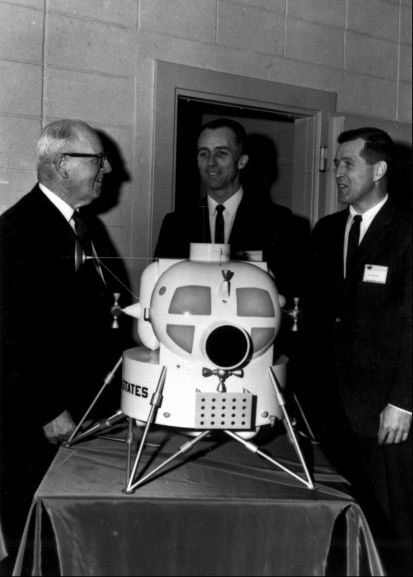 Heat sterilization was suspected as one of the reasons for the failure of Ranger spacecrafts.September 20: In a speech to the United Nations, President Kennedy proposes a joint US-Soviet Lunar mission. October 18: NASA announced the selection of 14 astronauts for Projects Gemini and Apollo, bringing to 30 the total number of American spacemen. They were Maj. Edwin E. Aldrin, Jr., Capt. William A. Anders, Capt. Charles A. Bassett II, Capt. Michael Collins, Capt. Donn F. Eisele, Capt. Theodore C. Freeman, and Capt. David R. Scott of the Air Force; Lt. Cdr. Richard F. Gordon, Jr., Lt. Alan L. Bean, Lt. Eugene A. Cernan, and Lt. Roger B. Chaffee of the Navy; Capt. Clifton C. Williams, Jr., of the Marine Corps; R. Walter Cunningham, research scientist for the Rand Corporation; and Russell L. Schweickart, research scientist for MIT. Range. It carried the oxidizer surge chamber and fuel accumulator kit intended to reduce the amplitude of longitudinal vibration which had characterized earlier flights. NASA regarded 0.25 g as the maximum level tolerable in manned space flight; this flight achieved a level of 0.22 g, the first to fall within acceptable limits. 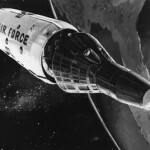 Two later Titan II development flights (N-29 on December 12, 1963, and N-31 on January 15, 1964) and the flight of Gemini-Titan 1 confirmed the validity of this decision. November 22: President John F. Kennedy was assassinated in Dallas, Texas. 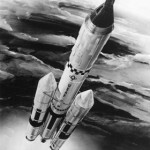 November 27: First successful launch of the Atlas Centaur (Atlas Centaur 2) from LC 36A. 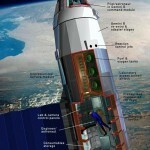 For the first time, a liquid hydrogen fueled rockets is fired in space. December 10: USAF Project Dyna-Soar is canceled. 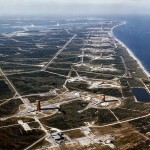 It was immediately replaced (that day) by the MOL (Manned Orbiting Laboratory). This is a Gemini B spacecraft with a small, attached space station launched by a Titan III for a 30-day military reconnaissance mission. 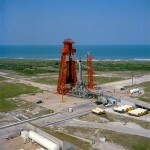 It was to be launched in the early 1970’s from KSC and Vandenburg AFB. It was canceled in June 1969 due to the success of unmanned reconnaissance satellites. 17 astronauts had been chosen for the program and after cancellation, 7 transferred to the NASA astronaut corps and all seven eventually flew on the Space Shuttle. December 13: NASA canceled five Ranger flights (numbers 10 through 14) designed to take high-resolution photographs of the lunar surface before impact. Cancellation of the flights was projected to save $90 million. December 16: NASA and the U.S. Air Force Aerospace Medical Division completed a joint manned environmental experiment at Brooks Air Force Base, Tex. After spending a week in a sea-level atmospheric environment, the test subjects breathed 100 percent oxygen at 5 psi at a simulated altitude of 8,230 meters (27,000 feet) for 30 days. 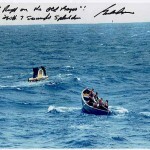 They then reentered the test capsule for observation in a sea-level environment for the next five days. This experiment demonstrated that men could live in a 100 percent oxygen environment under these conditions with no apparent ill effects. Douglas, W K. Preparation of the astronaut. JAM 1963 34:232-235. Cockett, A T K, Beehler, C C. Total body hypothermia for prolonged space travel. Berkner, L V. Space medicine from the perspective of space geophysics. Konikoff, J J, Reynolds, L W. Development of water recycling device with special reference to space application. JAM 1963 34:622-625. Konikoff, J J, Reynolds, L W, Harris, E S. Electrical energy from biological systems. Loret, B J. Optimization of space vehicle design with respect to artificial gravity. Michel, E L, Smith, G B, Johnston, R S. Gaseous environment considerations and evaluation programs leading to spacecraft atmosphere selection. Odland, L T, Michaelson, L M. Space travel: Suggested method for predicting human response to ionizing radiation. JAM 1963 34:62-66. Peters, J, Benjamin, F B, Helvey, W M, Albright, G A. Study of sensory of deprivation pain and personality relationships for space travel. JAM 1963 34:830-837. Reynolds, H H, Grunzke, M E, Rohles, F H. Effects of exposure to simulated launch and reentry profiles on chimpanzee performance. JAM 1963 34:196-200. Rohles, F H, Reynolds, H H. Proposed approach toward determining the psychophysiological effects of prolonged space flight. JAM 1963 34:441-442. Roman, J A, Warren, B H, Graybiel, A. Functions of the semicircular canals during weightlessness . JAM 1963 34:1085-1089. Smedal HA, Rodgers TA, Duane TD, Holden GR, Smith JR. The physiological limits of performance during acceleration. JAM 1963 34:48-55. Lambertson CJ. The philosophy of extremes for the gaseous environments in manned, closed ecological systems. JAM 1963 34:291-299. Morgan TE, Ulvedal F, Cutler RG, Welch BE. Efects on man of prolonged exposure to oxygen at a total pressure of 190 mm. Hg JAM 1963 34:589-592. Morgan TE, Cutler RG, Shaw EG, Ulvedal F, Hargreaves JJ, Moyer Je, McKenzie RE, Welch BE. Physiological effects of exposure to increased oxygen tension at 5 psi. Kasten DF. Human performance in short orbital transfer. Springer WE, Stevens TL, Streimer I. The metabolic cost of performing a specific exercise in a low-friction environment. JAM 1963 34:486-488. Corkhill DJ. Space Radiation Monitoring System. JAM 1963 34:614-617. Binc BW, Barr NL. Some responses of squirrel monkeys to high g – brief duration profiles. JAM 1963 34:752-757. Brannon EW, Rockwood CA, Potts P. The influence of specific exercises in the prevention of debilitating musculoskeletal disorders; implication in physiological conditioning for prolonged weightlessness. JAM 1963 34:900-906. Gunderson EKE, Nelson PD. Adaptation of small groups to extreme environments. McCally M, Graveline D. Sympathoadrenal response to water immersion.